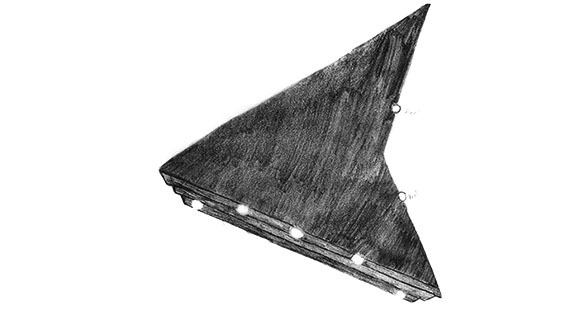 A Florida witness at Gainesville reported “a very large, black triangle” UFO hovering over a residential area, according to testimony in Case 80933 from the Mutual UFO Network (MUFON) witness reporting database. The witness was returning home from a family dinner on December 11, 2016, when the object was seen hovering about 500 feet over nearby homes. The witness then drove north into the subdivision while watching the object. Gainesville is the county seat and largest city in Alachua County, Florida, population 127,488. Florida MUFON Field Investigator Carl Paulson investigated and closed this case as an Unknown.